Fort King George, listed on the National Register of Historic Places, hosts two major reenactments each year. The fort served as the southernmost British Colonial outpost on the Atlantic seaboard in the early 1700s, discouraging attacks from the Spanish and French. Darien, Georgia, (population 1,800) is Georgia's second oldest city. Darien was surveyed and founded by the British Gen. James Edward Oglethorpe in 1736, shortly after he founded the colony at Savannah. During the Civil War, the Union occupied and burned Darien in 1863. The timber and banking industries helped Darien to reestablish itself, and the fishing industry is a more recent catalyst for economic growth in Darien. Built in 1888, the old Darien City Jail remained in operation for both the city and county until 2003. The McIntosh Art Association, a community non-profit, needed a building to operate as a gallery and crafts center. The association leased the vacant jail from the county and began renovating the structure. The city of Darien received a $30,000 Community Local Assistance Grant from the Georgia legislature to assist with the project. The McIntosh Art Association worked with the city of Darien to complete the renovation. The renovated jail includes decorative awnings, signage, a kiln to fire pottery, and the McIntosh County Museum is housed on the second floor. Darien is the home of two National Register of Historic Places-listed historic districts, the West Darien Historic District and the Vernon Square-Columbus Square Historic District. Fort King George is individually listed on the National Register of Historic Places. The fort served as the southernmost British Colonial outpost on the Atlantic seaboard in the early 1700s, discouraging attacks from the Spanish and French. The fort is currently owned by the state of Georgia. 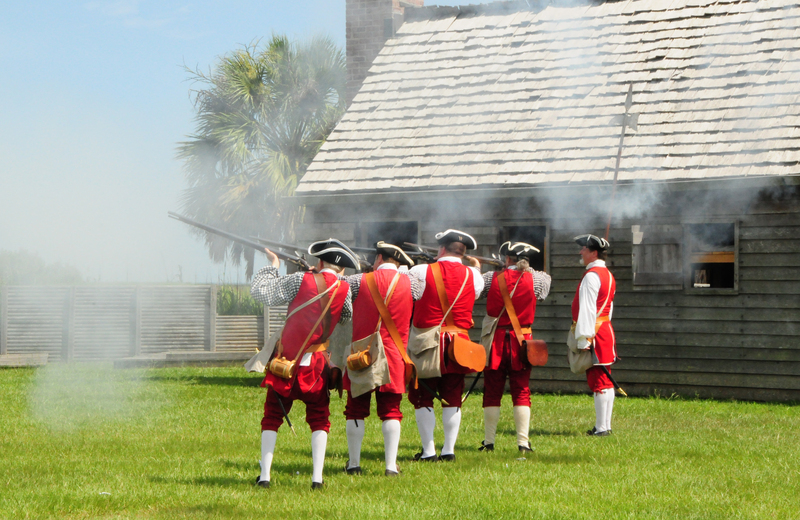 The staff and volunteers of the fort conduct two major reenactments in March and November of every year. The city of Darien integrates these reenactments into local festivals, the Blessing of the Fleet in March and the Darien Fall Festival in November. Darien is located along the Altamaha Scenic Byway in Georgia, extending 17 miles along US Highway 99. The route starts at the Sapelo Island Visitor's Center, then leads through Fort King George and Darien, eventually terminating at the Historic Needwood Baptist Church in Glynn County. The Darien portion of the tour includes a bike trail and self-guided tour.